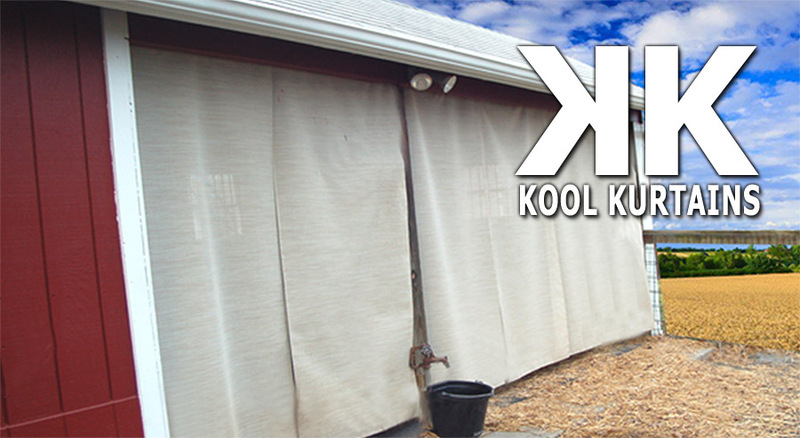 Kool Kurtains are the newest, technologically-advanced means to affordably create a cool, bug-free, and bird-free haven for your horses. 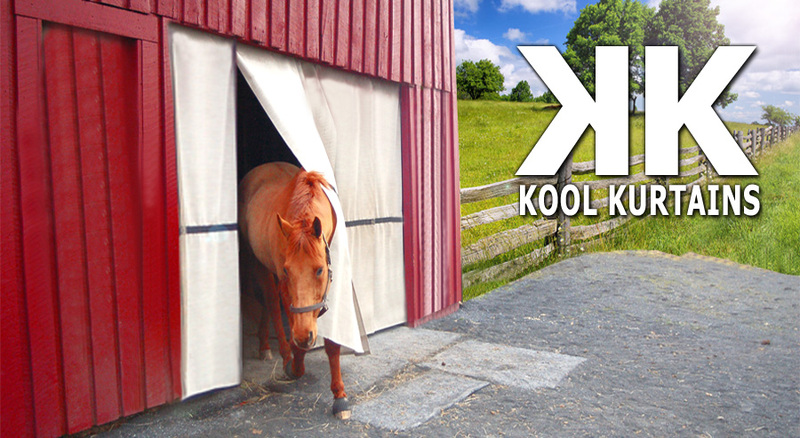 Kool Kurtains offer passive cooling and environmental screening for your equine facility while permitting airflow. 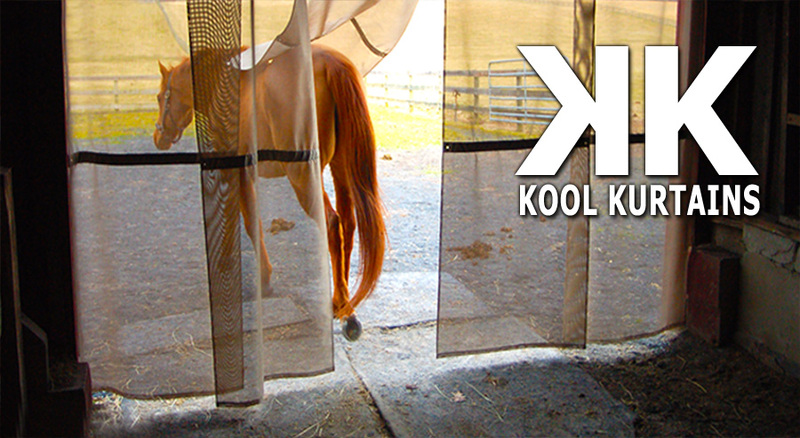 Kool Kurtains are great for run-in-sheds, barn aisles, stall doors, dutch doors, and arenas. 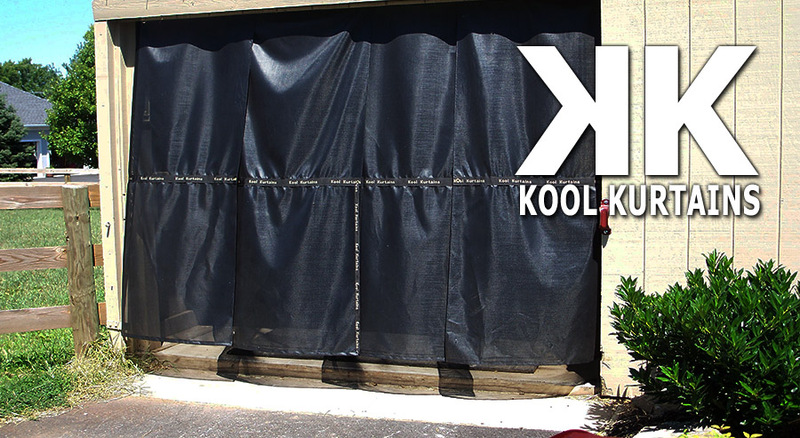 If you need shade or insect and bird screening; you need Kool Kurtains. Kool Kurtains are manufactured entirely in the USA. 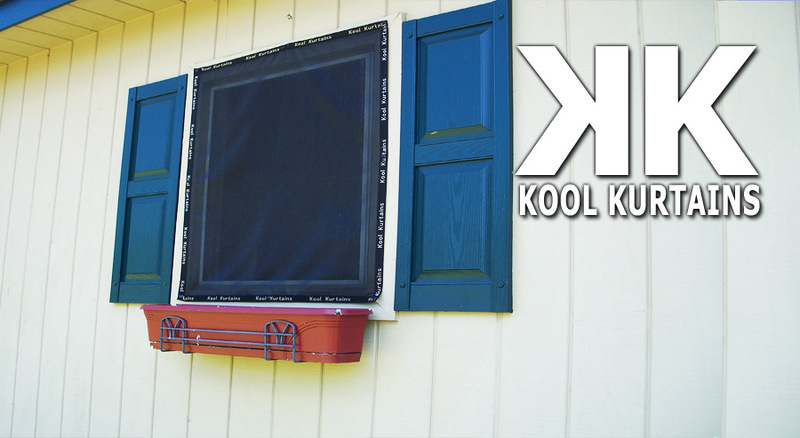 Materials used to manufacture Kool Kurtains, including our CS80 textile, are made in the USA. 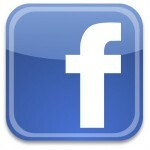 We believe this fact, coupled with our commitment to quality, will be important to customers. THANKS FOR VISITING KOOL KURTAINS!